R. Aebersold and S.D. Patterson, Current Problems and Technical Solutions in Protein Biochemistry. R.G. Krishna and F. Wold, Posttranslational Modifications. J.L. Lauer and G.B. Fields, Design and Use of Synthetic Peptides as Biological Models. G.S. Coombs and D.R. Corey, Site-Directed Mutagenesis and Protein Engineering. M.W. 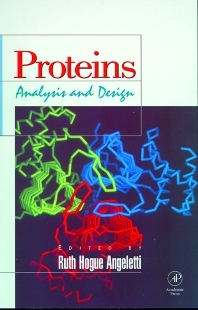 Klemba, M.Munson, and L. Regan, De Novo, Design of Protein Structure and Function. Index. Albert Einstein College of Medicine of Yeshiva University, Bronx, New York, U.S.A.